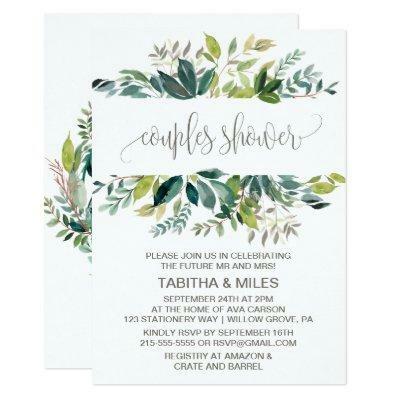 This foliage couples shower invitation card is perfect for a rustic wedding shower. The design features a boho frame of green leaves and leafy greenery botanicals. The backing features a matching country wreath which can be personalized with the names of the bride and groom.